An in-store display at an Old Navy store in New York City on Wednesday. 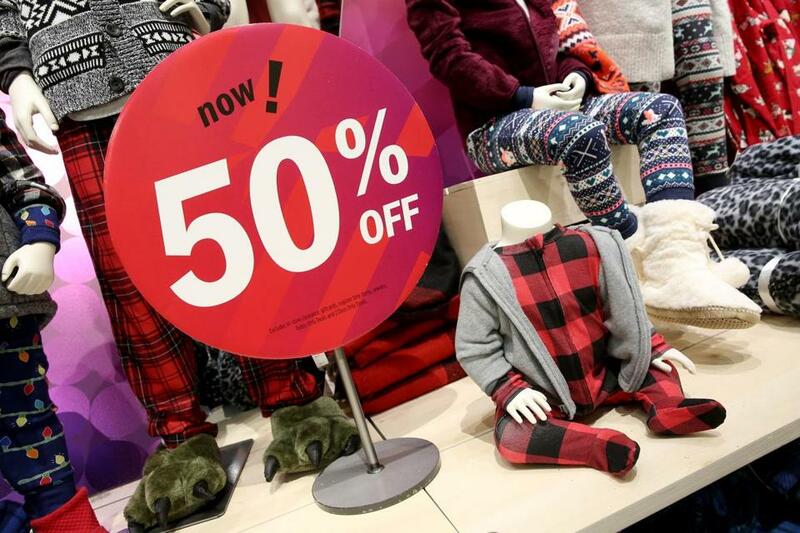 NEW YORK — With Black Friday having stretched into a November full of deals, stores will be stepping it up as holiday shopping begins in earnest. It’s been a tough year for many retailers. Several well-known chains have filed for bankruptcy protection and thousands of stores have closed. Amazon is going into the holiday season with its largest ever store presence, and plans to offer deals online every day from Thanksgiving to Cyber Monday. Stores are trying to step up their game online and in person to attract customers who are moving back and forth from store to phone shopping. Overall, the NRF expects sales in November and December to at least match the 3.6 percent growth of a year ago, to a range of $678.75 billion to $682 billion. It estimates that online spending and other non-store sales will rise 11 percent to 15 percent. Sides will be watching is how malls fare for the opening of the season, as shoppers increasingly go online or to discounters. ‘‘We don’t think the malls will be nearly as busy,’’ he said. Here’s a look at what some big stores have planned for Thanksgiving and Black Friday. Most retailers including Walmart start making the majority of doorbuster deals available online at 12:01 a.m. on Thanksgiving. The hours refer to local times. Deals: A 55’’ Westinghouse UHD TV for $249.99. Shoppers who spend $50 in stores or on Target.com Friday will get a coupon for 20 percent off for purchases made between Nov. 28 and Dec. 10. Deals: Up to 40 percent off on appliances, 50 percent off Craftsman 32-piece mechanic’s tool set.